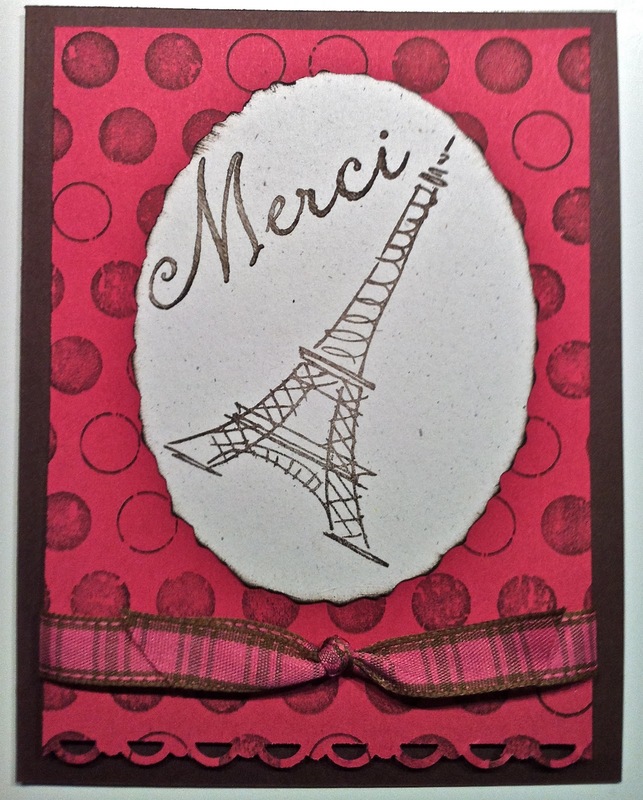 This card was inspired by the cute pink & brown ribbon I got this week from Jaclyn Miller. It was blog candy I won from her blog. Here is a link to her blog where you can see her lovely creations. 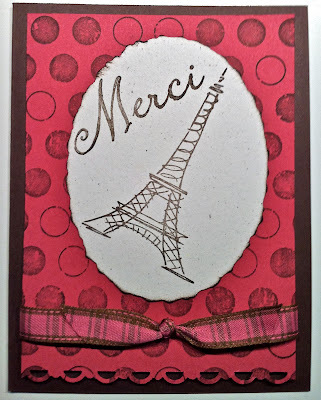 I was also inspired by my new Paris stamps & thought these would go together nicely.